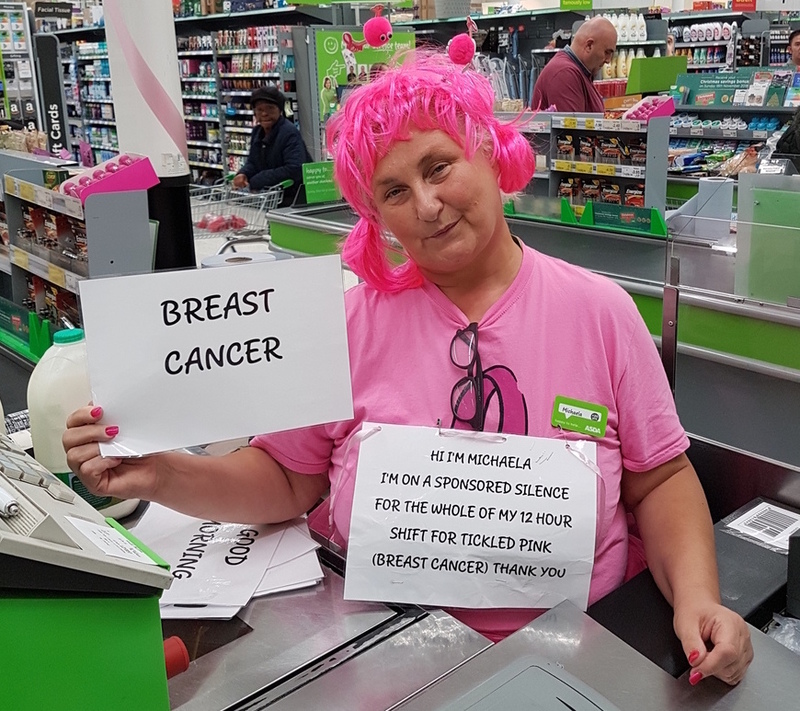 A big well done to our Queslett store's community champion Michaela Hawthorne who supported our Tickled Pink breast cancer charity campaign by holding a 12-hour sponsored silence. Michaela lost her mum Margaret to breast cancer, so is hugely passionate about Tickled Pink, which supports the fantastic work of Breast Cancer Care and Breast Cancer Now. Michaela was joined by volunteers from Breast Cancer Care on the day, and they contacted us to tell us she was "a great ambassador for Tickled Pink" and "a special person with a massive heart". Michaela, who raised £255 for the appeal, said: "I was on the checkouts during the silence, so it was very difficult! I had to talk to customers using gestures and printed cards. "Tickled Pink is very close to my heart after I lost my mum, and it's something which affects so many people, so I always do something to raise money and awareness. "Next year I'm hoping to raise even more money by holding a 24-hour sponsored silence!"